Seochon Alley Tour : "She Was Pretty"
The 2015 drama, "She Was Pretty" was a huge hit in Korea. A romantic comedy, the plucky, freckled fashion magazine intern, Kim Hyejin (Hwang Jung Eum) won the hearts of viewers with her bright attitude and beautiful personality. Let's explore Seochon and visit filming locations from the drama, including Hyejin's house. "She Was Pretty" is a light-hearted romantic comedy. Hyejin as a young girl was beautiful and wealthy, but her family went bankrupt and she grew into an unattractive woman. Hyejin's childhood best friend and first love, Seongjun was an unattractive child but grew up to become a handsome and successful magazine editor. By a twist of fate, as adults, they come to work at together at the fictional fashion magazine Most. The drama became extremely popular thanks to its actors, Hwang Jung Eum, Park Seo Jun, Go Joon Hee, and Hallyu idol group Super Junior's Choi SiWon. Because most of the drama is set at the offices of a fashion magazine, the characters' wardrobes are a feast for the eyes. The name "Seochon" is a reference to its geographical location. Seochon is located to the east of Inwangsan Mountain and west of Gyeongbokgung Palace. Even in the olden days of the Joseon Dynasty, the area was famous for its clean air and pure water so artists and literary types flocked here. There are also buildings here that have historical significance. Once at the three-way intersection leading to Suseong-Dong valley, if you turn slightly to the left, you will see small and adorable two story house. This is the house of two characters from "She Was Pretty," Hyejin and Hari. This is the most popular of Seochon's filming locations from the drama. In the drama, the two friends are often seen chatting or sitting here. The table outside the house is where the relationship between characters Shinhyuk and Hyejin blossomed during their late night talks. In real life, the building isn't actually a home, but a store that sells music boxes. The owner of the store personally travels to flea markets in Europe and collects vintage products and also builds music boxes to sell. The first floor is the store and the second floor is used as a rest area. In the drama, whenever there are shots of Hyejin gazing out the window, they were shot on the second floor. During the rest of the drama's filming, the space was used as a rest area for the actors and a temporary makeup studio. During the weekends, there is fairly heavy foot traffic and many visitors so it may be nicer to visit on a weekday when it's less crowded. If you walk upwards a bit, away from Orgel 4757, you will be able to see foliage of Suseong-dong Valley. 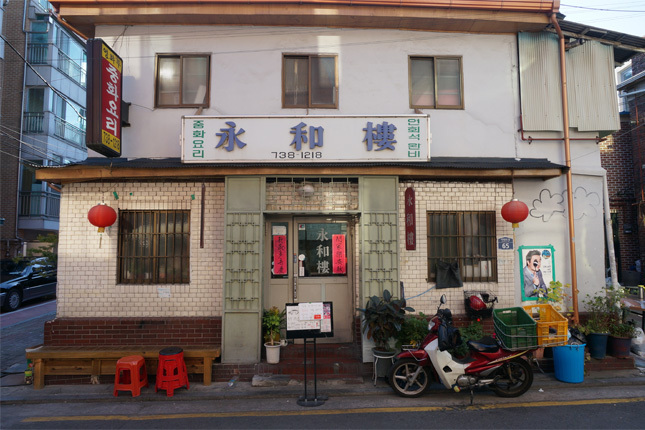 Yeonghwaru Restaurant is a Chinese restaurant where two of the supporting characters in "She Was Pretty" had their first date. Junwu (Park Yu Hwan) and Han Seol (Shin, Hae Sun) are co-workers at Most magazine and they eat fire jjamppong (extra spicy seafood noodle soup) here. The restaurant has been a Seochon fixture for over 30 years. It is a beloved eatery and it has been used as a filming location for many dramas and movies for many years. The restaurant is a one-story building with a total of 10 tables. Because the indoor space is fairly small compared to the number of customers who frequent Yeonghwaru, you may have to wait a long time before you get a seat. This is the actual spot where Junwu and Han Seol had their date. On the walls, the autographs of every star to visit Yeonghwaru over the past 10 years are on display. Also on display is a timeworn old menu. The "fire" jjamppong that Junwu and Han Seol eat in the drama does not actually exist but Joon Woo-Han Suhl couple has selected, actually does not exist. Instead, there is the gochu jjamppong (spicy seafood noodle soup with Korean chili peppers). 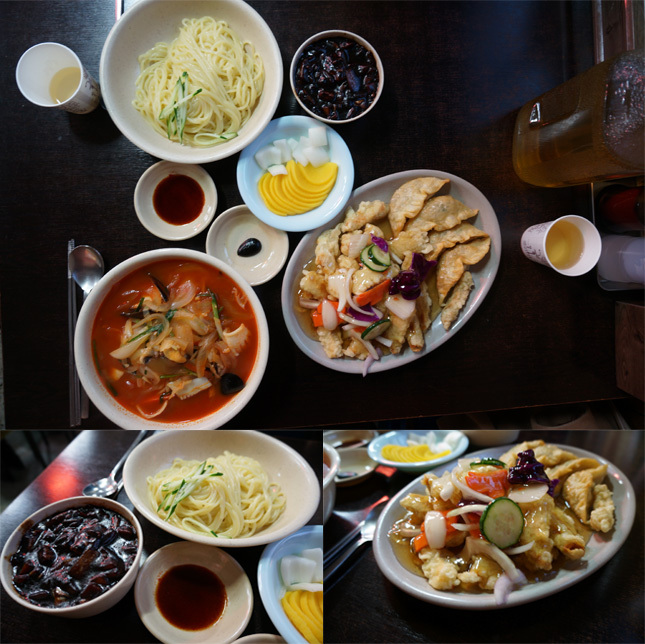 Gochu jjamppong and gochu jjajangmyeon (noodles with spicy black bean sauce), are the best dishes at Yeonghwaru. Cheongyang red peppers are added to ordinary jjamppong and jjajang, enhancing the taste with spiciness and flavor. These two dishes were invented 15 years ago and they became well known via word of mouth. The gochu jjamppong's delicious spiciness and the savory stir-fried seafood offers flavors that are tough to beat. If you prefer food that isn't spicy, it's best to order regular jjamppong or jjajangmyeon, as they have no cheongyang red pepper added in. If you've filled up your stomach with tasty Chinese food, then let's head to the nearby Poet's Hill. The hill is called "Poet's Hill" because the famed poet Yun Dong-Ju would frequently walk on this hill in order to get ideas for his poetry. At the bottom of the hill is the Yun Dong-Ju Literature Museum, established to commemorate Yun. 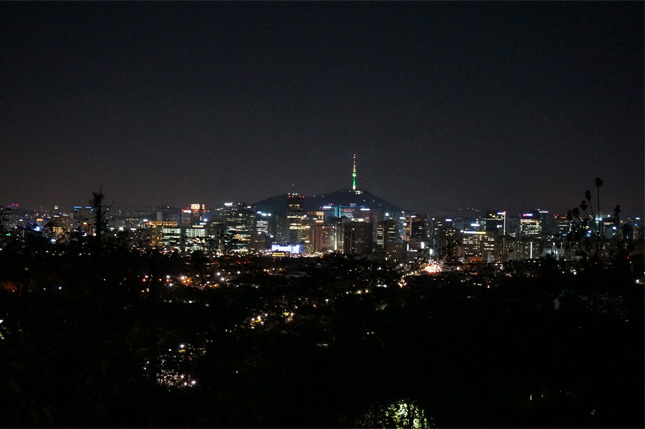 In episode 11 of "She Was Pretty" the character Shinhyuk comes here and takes in the views of Seoul. He had just put his affairs in order and was feeling all sorts of anguish as a result. In the drama, this scene took place in the daytime but it is at night when Poet's Hill really shines. 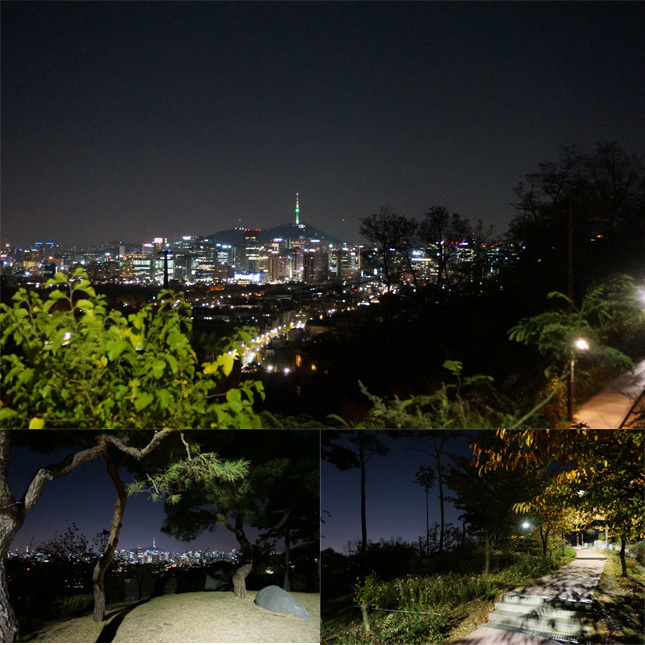 At night, enjoy the twinkling lights of Seoul with views of Namsan Seoul Tower from the wide, open spaces atop the hill.